Is the berry your favorite fruit? Do you dig donning a chapeau? This is for you. The California Strawberry Festival is in May, which means that your hat-making efforts should begin rather soon. Why? There's a whimsical competition to enter, of course. CALIFORNIA STRAWBERRY FESTIVAL, and it will once again encourage creative thinkers and snazzy dressers to gussy up a hat with, you got it, strawberries, strawberry plants, and strawberry-style motifs. 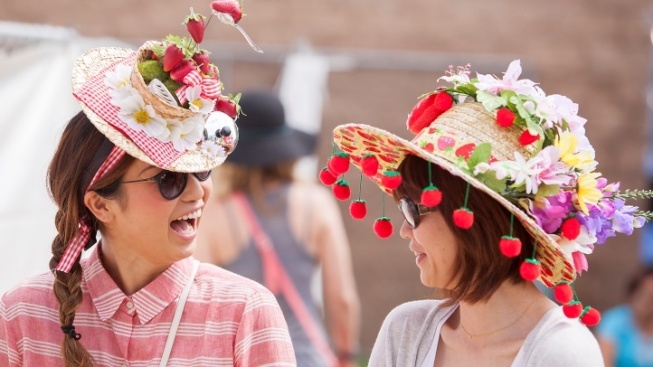 The 2019 festival flowers in Oxnard on Saturday, May 18 and Sunday, May 19, and includes a host of showdowns beyond the Berry Best Hat Contest, like the Berry Best Dressed Baby Contest and the Strawberry Shortcake Eating. And if you don't want to jump into a competition? There are ways to enjoy the long-running event's carnival spirit and cuisine-cool happenings. Still, though, if you're sporting a hat covered in strawberries, won't you get a ton of compliments and questions? You may inspire other wannabe hat artists. SO MILLINERS OF CALIFORNIA, get cracking on your wearable creation, because the festival is sprouting faster than a strawberry patch. Look here, for hat info and more on this charming and delicious annual party.